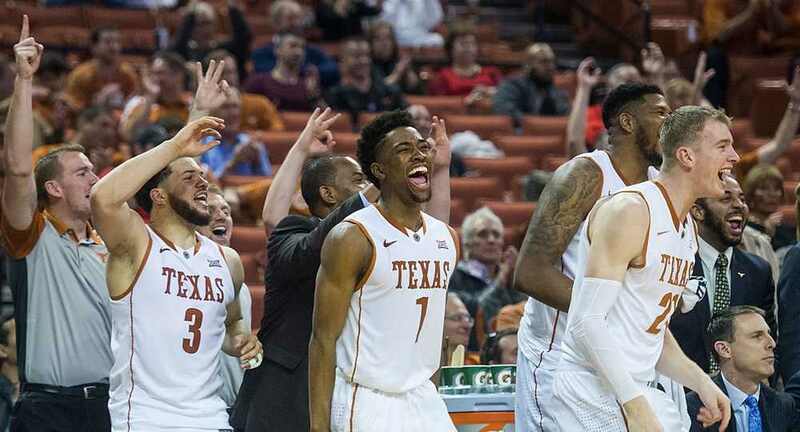 The University of Texas men's basketball team has won six of its last seven games and is 4-1 against AP top 20 teams this season after a 67-59 win at Baylor (photo courtesy of texassports.com). WACO, Texas — Senior forward Connor Lammert tied his career high with 15 points to help lead the University of Texas men’s basketball team to a 67-59 road upset of No. 15/13 Baylor Monday at the Ferrell Center in Waco, Texas. His performance marked the fourth game this season in which he has scored in double figures, and the 16th in his career.